Living Wightman is a coalition of local residents launched in 2016 to oppose the continued use of Harringay Ward as a primary through route for traffic in north London. For decades, Haringey Council have effectively prioritised the convenience of drivers using Wightman Road and the adjoining residential side streets as ratruns, over the rights of local residents to a quality of life which neighbouring areas receive without question. 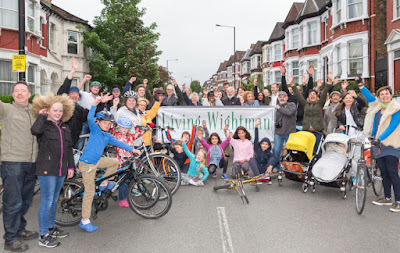 Whilst our primary focus is Wightman Road - no residential street should carry almost 120,000 vehicles per week - our goal is for a better health and quality of life for all residents in and around Harringay Ward through a reduction in pollution and levels of traffic using our narrow residential streets.